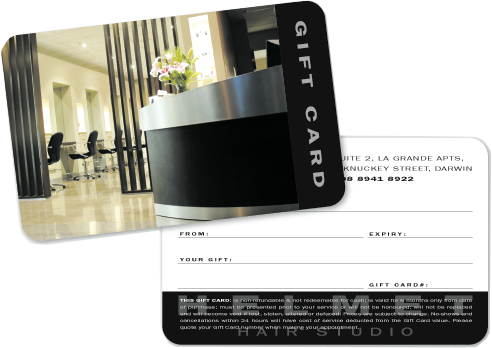 Helmet gift card makes the perfect gift when you want to pamper a family member colleague or that special someone. It can be made for any value and used to purchase retail products, hairdressing services or specialty services such as, Global Keratin Juvexin Treatments, Bonza Bronz Tanning Sessions or Amore Hair Extensions. Our gift cards have the same look as a credit card and are valid for 6 months.Stylish and smart you can’t go wrong with a Helmet gift card! Please complete the Gift Voucher form below and we will contact you within 24 hours to complete your purchase.